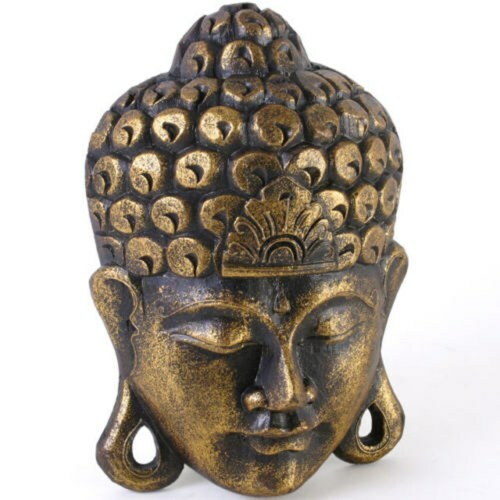 A gorgeous golden glitter wall hanging in the design of Buddha's head. This gorgeous wall hanging has been handmade in Bali , this product is also fairly traded. A gorgeous wall hanging in the shape of a Buddha's head in a gorgeous gold glitter colour. The perfect wall hanging that will instantly bring a a beautiful Buddha theme into a room.